Zoo one of my student’s favorite themes of the year. It’s a fun and engaging theme for students and teachers alike. I mean who doesn’t just love all those cute and adorable zoo animals. Be sure to grab the Desert Art Freebie later in the post too! It makes the cutest bulletin board and it’s a great scissor skills activity too! The zoo theme usually lasts about 4 weeks in my classroom. Each week we focus on a different habitat. Week one is the rainforest. Week two is the savannah. Week three is the desert. Week four is the arctic. Sometimes we do a fifth week all about the ocean if students are interested in it. Each week, I change the sensory table to a different small world habitat. The rainforest was easy, peasy. It’s just Easter grass, blue crepe paper (river), and rainforest animals. If you look closely you can see students made trees using craft sticks and green construction paper! At the sensory table, students are using theme relate vocabulary, practicing self regulation as they play with others (sharing, controlling their body, inside voice), using their imagination as they play with the animals, and developing language as they engage in conversations with their peers. Play is learning! The savannah habitat is yellow shredded paper, brown shredded paper, green Easter grass, and savannah animals. I made a small watering hole using blue foam board. You can buy the shredded paper in the party section at the Dollar Tree. The desert is sand, rocks, and desert animals and insects. The arctic is water, ice, and arctic animals. I froze big bowls of water to make the icebergs! A zoo play dough tray is great for strengthening their fine motor muscles. Students can be creative and sculpt habitats and homes for the animals. Students are also classifying and sorting the animals by their habitat. The blue play dough represents water and the green play dough represents grass or a forest. The glass gems are fun too! They loved making icebergs for the arctic animals using the white gems. There are so many amazing zoo picture books! I had the hardest time deciding which books to read at circle. I think From Head to Toe by Eric Carle is my favorite! At the writing desk, I added stamps! Students could stamp the zoo vocabulary words on zoo paper! Keep the writing desk inviting by adding new writing tools like lowercase letter stamps, uppercase letter stamps, or letter stickers. Zoo Pre-Writing Cards give students the opportunity to trace different types of lines and shapes. Writing is HARD! Tracing lines using dry erase markers make tracing fun even if it’s hard work! 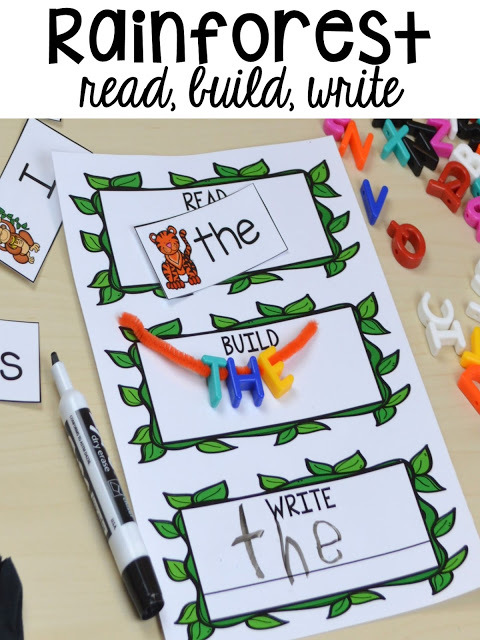 Rainforest Read, Build Write makes writing sight words FUN. To add more fine motor, students would build the word by stringing letter beads on a pipe cleaner! My threes did the same activity using their friends’ names instead of sight words! Arctic Letter Match had students match the “baby letters” (aka lowercase letters) with the “mommy letters” (aka uppercase letters). 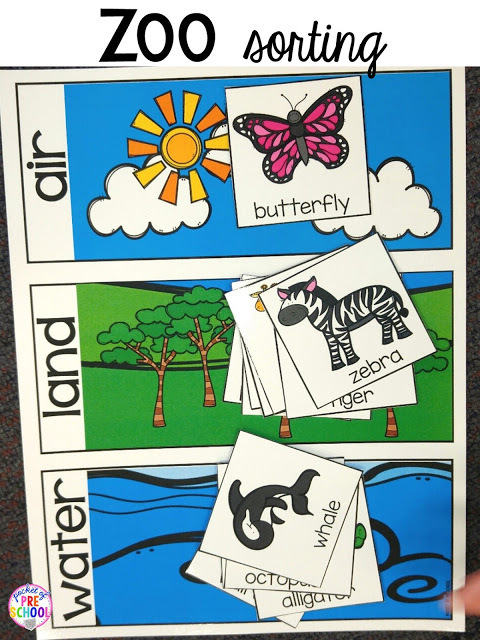 Zoo Beginning Sound Mats and magnet letters are perfect for learning and practicing beginning sounds. Zoo Maps! Zoo is the perfect theme to learn about maps. There are maps all over a zoo! Look at real zoo maps (online or bring some into the classroom). Notice all the different parts of a map, the labels, the symbols, and the paths. Students made their own maps of a zoo! That lion on his map just makes me smile. Zoo Cover Up helped students build one to one correspondence. Too easy? No worries! Just use the double ten frame board and two dice. Students roll the dice, add, and dot the total. Zoo Family Number Line! This game was a hit with the boys! They would make the number line over and over and over. Zoo Sorting has so many possibilities! There are endless ways you can sort zoo animals. You can sort by color, size, pattern, habitat, water/land/air, number of legs, and by things that don’t belong (ex: wings, no wings). Zoo Spin and Graph gives students a chance to make their own graph! It has a spinner too which students LOVE! This is just a clear spinner with the mat taped to it. Students are using magnetic bingo chips for their graph because at the end they clear the graph with a magnetic wand! Have you tried magazine cutting collages? If not, you should! Grab some zoo magazines or any magazines with animals and let students cut out the pictures. And yes the little threes will cut right through the animal. Just be happy they are having fun cutting and strengthening those little muscles. If you don’t have any magazines ask parents to donate them or you can buy old ones at the library for cheap. Freebie alert! Go grab it HERE. Some of my students have never seen a desert or a cactus before. I printed out a few photos of cactus plants to help them visualize what they were creating. Students cut out the green ovals and glued them to the brown paper to create their cactus plant. Then using a fork students scraped on “spines” with white paint. It is the perfect activity for students who need to practice cutting curves. We also created Rainforest Art! Students drew the branches of the trees using a brown marker. Then they added leaves with green puffy paint. Puffy paint is super easy to make. Just mix glue, shaving cream, and food coloring together. Writing and drawing on vertical surfaces is SO important for little learners! To support my little artists, I put photos of zoo animals in the art tray. Students would use them as they painted. They could look at the photo and decide what colors or parts of the animal to paint. Did they have to use the photos? Absolutely not. If someone wanted to paint a purple giraffe with ten legs they absolutely could. I put out a sorting tray with brown/black circles, feathers, brown/yellow/orange/black stripes, and orange triangles. Students could create any zoo animal mask they wanted and look how they turned out! Now the lions may look more like suns but don’t you just love how they are all unique! In blocks, as we learned about each habitat I asked students what materials they needed to create the habitat. They decided what we needed and helped me make the labels! I also added STEM I Can Build Habitat posters and non-fiction books for a visual support too. The “sand dunes” are just yellow card stock cut up into odd shapes. The icebergs are triangle blocks covered in foil. We changed the dramatic play center into a ZOO! You can read all about the transformation HERE. 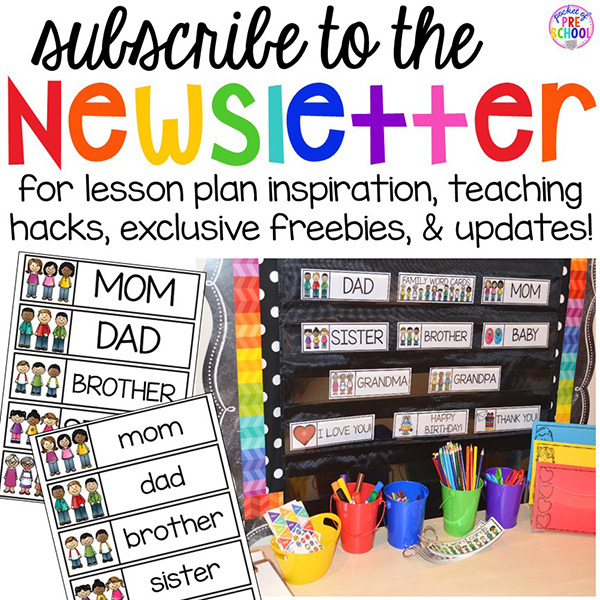 I hope that you are inspired and filled your lesson plan book up with tons of fun and engaging zoo activities for your little learners. 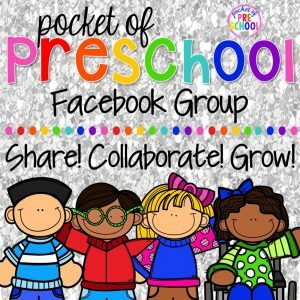 Want all my ZOO printables you see in this post plus a ton more? Go grab Zoo Math and Literacy Centers HERE. Just print, prep, and teach! Grab my Habitats and Landforms STEM I Can Build HERE (posters I used in the blocks center). Need more zoo inspiration? Follow my ZOO Pinterest board.